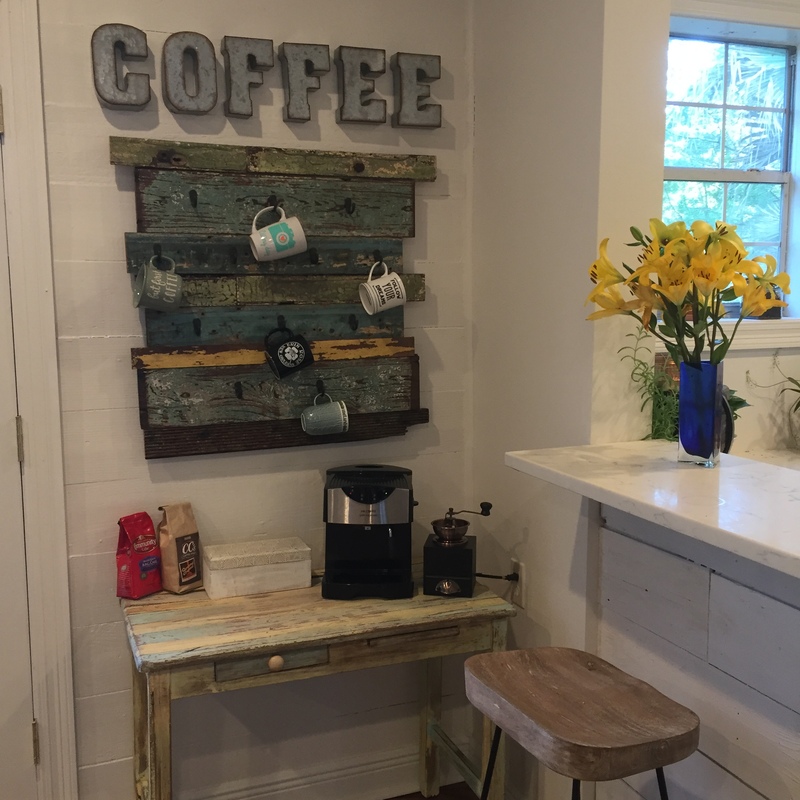 Our daughter is back in her home that flooded and this is one of the projects that we did recently for her house. She found the cute table to use for her coffee station in New Orleans. She lived there for a while in a hotel since her house was under construction. 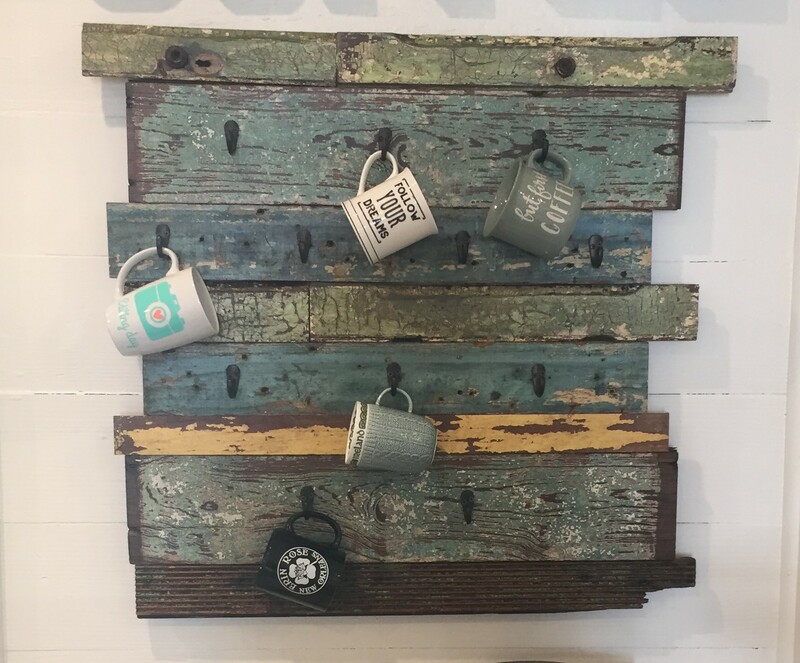 She got the idea of the coffee mug holder from Pinterest. 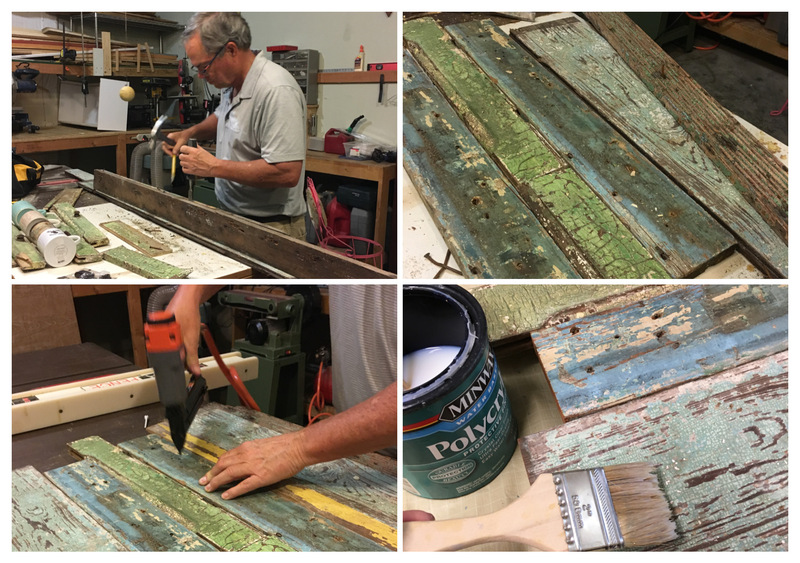 She saved some of the boards from her house, bought a couple of them at a reclaimed store, and used parts saved from a very old cabinet that was her vanity prior to the flood. My husband cut the pieces various lengths and put them together on a piece of board with a nail gun. I put on a clear coat of satin polycrylic to seal it and to keep the loose shavings of paint from flaking off. I found the perfect hooks for it at Wal-mart (6 to a pack). 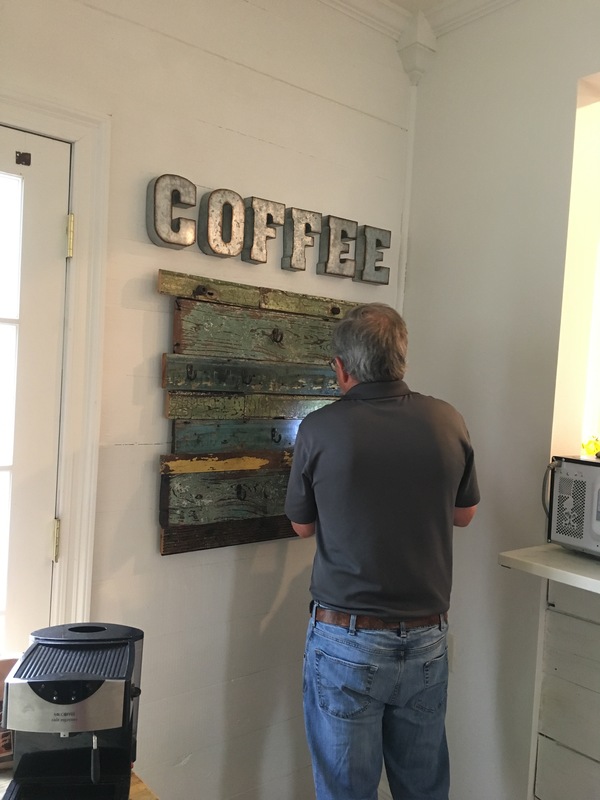 My husband came up with a great idea of putting the screws in the piece to hang it up where some of the hooks would be, so they would not show. We put 12 hooks on it but plan to add two more to the bottom later. Our daughter is very pleased with the way it turned out and plans to collect mugs from places she visits in the future. It’s been a long, hard ordeal for her house to get completed ( contractor problems, 100 year old house problems, etc.) but it is coming together and looking like home again. Close up of the finished piece.